I've been going to the beach since before I can remember, taken by my parents back in the day (or "B in the D" to use current vernacular) to any number of beach motels and campgrounds. There was an oft-told family tale of my mother and father as young newlyweds bringing his parents (called "the in-laws") to the Oregon coast for a camping trip to show off my mother's skills as a campfire cook. Unfortunately for her, as she was coaching some pancakes or steaks or some such to grilled perfection on the red-hot iron grate, she slipped and caught herself from falling into the fire by placing her hand…yes, you can wince now…on that same grate. Since emergency rooms in hospitals weren't readily available or equipped to deal effectively with third degree burns in the mid-1950s, she bandaged it up and soldiered on as any young bride in that situation would have, presenting a brave face to the in-laws and never, EVER, wailing that she wanted to go home. 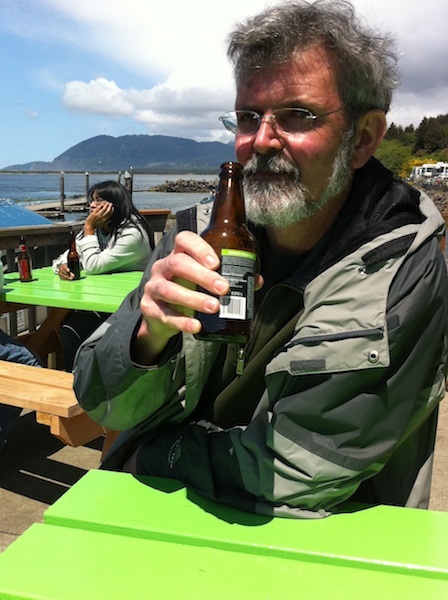 Dave with two favorites: beach and beer. Dave and I tend to rent houses when we go to the beach if it’s more than a day trip, preferring to have a kitchen, decent beds and a functioning bathroom with shower nearby rather than a sterile and cramped motel room, especially since we can't deny Walker and Rosey the pleasure of running on the beach with dog-like abandon (see video at bottom). Manzanita is a favorite spot having, as it does, a more leisurely pace than its northerly neighbor, Cannon Beach, which has gone from a sleepy backwater with a couple of taffy shops and myrtlewood knick-knacks to a near mall-like consumer paradise. A great local resource is Ocean Edge Vacation Rentals, with a staff that is always ready to work within our budget constraints and, even better, has many dog-friendly homes available. On a recent trip for Dave's birthday we stayed at Coe's Cottage, a sweet and comfortable family retreat set back from the beach but with a terrific view of a sweep of ocean. With a decently equipped kitchen, the night we arrived I whipped up an…if I may say so…awesome linguini with clams using steamers from a local market. The second day I promised to take Dave to the spectacular Kelly's Brighton Marina to reprise a lunch I'd had there the week before, one that I knew would blow his mind. Janice Laviolette, Kelly's best half. 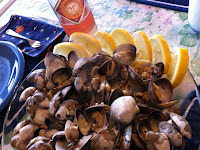 Co-owner and genuinely funny gal Janice Laviolette brought three pounds of clams and two cooked crabs to our sunny picnic table on the deck overlooking the picturesque confluence of the Nehalem River and Nehalem Bay. With a couple of bottles of Ninkasi Spring Reign from the store's fridge, Dave agreed it was going to become a regular stop when we were within spitting distance of the place. Four Paws for pets and their people. 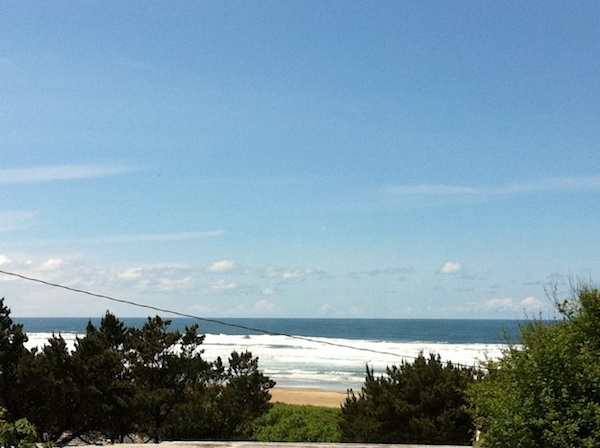 Then it was back to Manzanita where I strolled the main drag while the guys took Walker for a run. At Four Paws on the Beach, with its supply of both necessities (food, leashes, treats) and not-so (toys, apparel for owners and their pets, and "pet prayer flags"), I finally caved to the lure of the Chuckit for Walker. 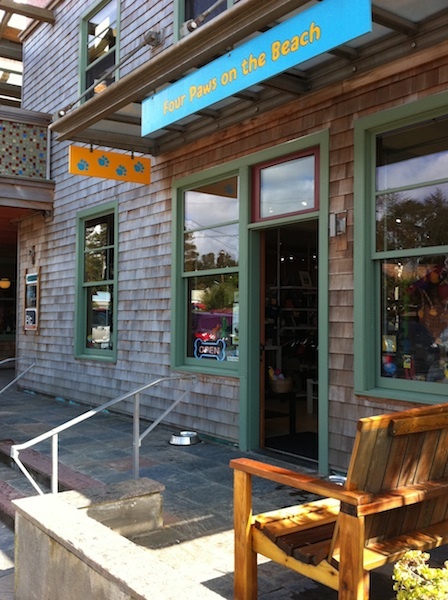 The classic Manzanita stop is at Manzanita News & Espresso, which has anchored this beach town since I first went there, and it still has the coolest curated selection of zines both popular and eclectic. And the coffee's decent, too. Other must-stop shops for inveterate consumers are Syzygy and Unfurl, two (mostly) women's clothing shops that share a building on the town's upper end. Moxie Fair Trade has taken over from another fair trade gift shop nearby, with much the same colorful inventory of gifts, pottery and clothing. 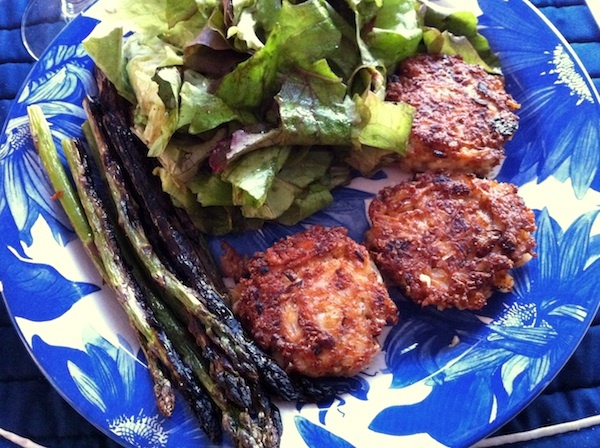 I picked up a fresh steamed crab at Great Northern Garlic Company, a wine bar and small plates place, and took it back to the cottage to make crab cakes with whatever basics I could scavenge from our supplies. Fortunately we had bread for breadcrumbs, a bit of chopped onion, limes for zest and mayonnaise to moisten, and with a salad of greens from the garden and broiled asparagus, we called it dinner. The last day Dave whipped up a spectacular breakfast of mushroom omelets with some of his bacon and bagels we'd brought, then we cleaned up the place and took the dogs on one last romp on the beach. Here's our 12-year-old Rose doing what she loves to do. And needless to say, she slept soundly the entire trip home. One of my favorite places on earth! Oh my, I did wince more than once when I read about your mother burning herself. 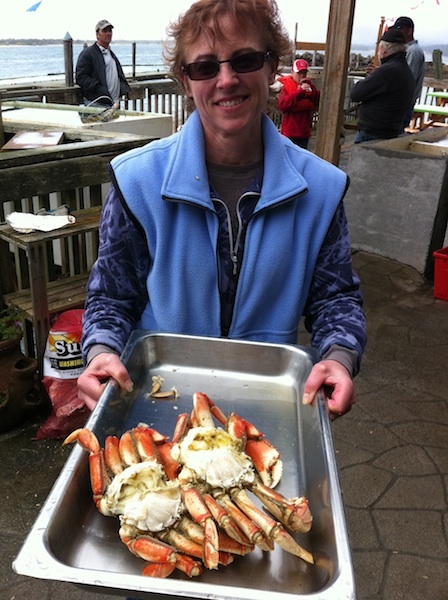 Love your posts, Kathleen, and was fascinated by the crab heart in a previous post. I've never heard of that. Hmmm, very interesting. Thanks so much for stopping by my booth last week. It was a pleasure to meet you and I really appreciate it. The market is really great this year. Thanks, Cathy! 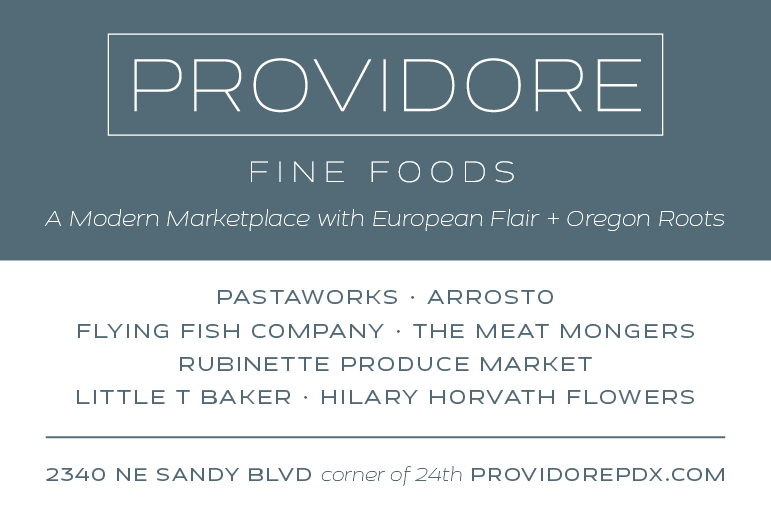 And I love the Beaverton market…so lively and such a diverse group of vendors. Well worth the trip!